As part of your land division, you may need to demolish existing buildings or structures on your property to receive complete approval from your local council. A well-organised demolition process can make all the difference when it comes to the next step in your land division, whether that be selling off your newly divided land or building new houses or structures. A safe, carefully planned demolition will ensure there are no hidden costs or unnecessary delays to your land division down the track. Here are our top four tips to help make the demolition process easy and efficient. Hire a professional demolition contractor to streamline the entire process for you. When you’re looking at different companies or businesses, ask them how they coordinate the whole process, including any approvals from local council, disconnecting any services or utilities and disposal of any waste material. Ensure the contractor is aware of and compliant with safety procedures and any clean-up duties specific to your site. A reputable contractor will inspect the site during the quoting process. If the structure you are demolishing was built with any hazardous materials, such as asbestos, check they are able to manage these materials before continuing with the demolition of the structure. Be sure to understand any exclusions in the service, such as approval forms, service disconnection or liaising with council or Government authorities, as you may need to be prepared to take on these duties yourself. Our team can assist you by guiding you through the demolition works alongside your contractor. If your demolition contractor includes council approval in their services, they will be able to coordinate the approvals process for you. If not, contact your local council as soon as you can to obtain any relevant application forms. Requirements and guidelines can vary between councils, so it’s best to seek this advice directly from your local council office. Complete a demolition plan and the application form from your local council. If you need assistance, Alexander Symonds’ surveying consultants can help you with the demolition plan and application form and answer any questions. This process can take up to one month or even longer, depending on the complexity of your project. To avoid any delays to your project, ensure you factor in adequate time for council approval. Once you’ve submitted your demolition plan and application form to your local council, you may need to pay a fee to the Construction Industry Training Board (CITB). If your demolition project value is more than $40,000, you will need to pay a levy to the CITB. You can pay online or in person at their office in Wayville. Before the demolition works begin, you will need to make sure any gas, electricity or water supply is disconnected from your property. 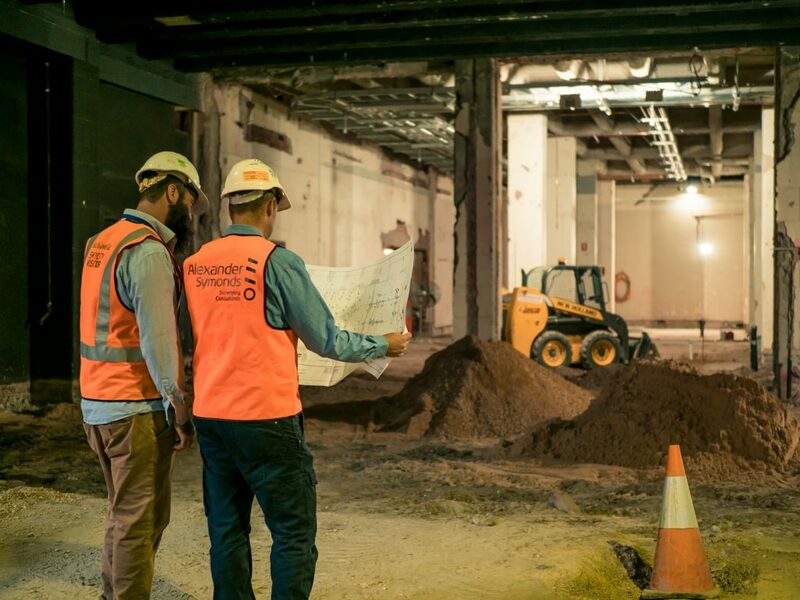 Your demolition contractor can liaise with SA Power Networks and SA Water on your behalf to temporarily disconnect your service. This stage is important to ensure that any demolition workers don’t come across live wires or plumbing and damage any existing pipes. Cutting through live wires or pipes may affect electricity or water supply to your neighbours and create a safety hazard for workers on site. The same applies to any telecommunication lines, such as telephone lines or NBN infrastructure. Contact Telstra or the NBN Co to discuss any works that you are carrying out and if you need to have any lines relocated or removed. Any legislation concerning safety, welfare or environmental protection should be reviewed and adhered to. The Work Health and Safety Act 2012 and the Environment Protection Act 1993 contain specific requirements for demolition. You can find more information on SafeWork SA’s website and the Environment Protection Authority website. Your demolition contractor needs to be aware of these requirements and how to mitigate any risks. For example, if there is asbestos on your property that needs to be removed, your contractor should have an appropriate plan in place to remove and dispose of the material safely, minimising any risk to workers on site. 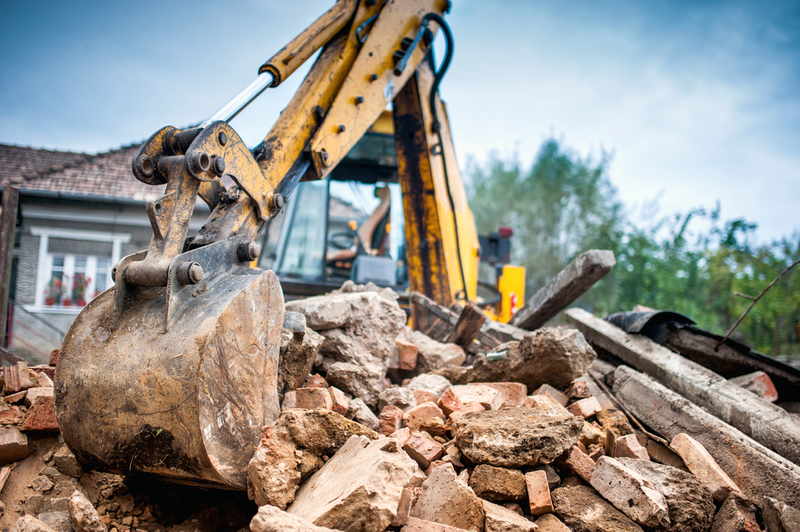 There are a lot of things that you need to be aware of when carrying out demolition works on your land and it can be overwhelming. A well-planned demolition process can be the difference between your land being developed on time and within budget or experiencing costly delays or complications that affect your goals. A reputable contractor will be able to manage and streamline the process for you. Licensed surveyors from Alexander Symonds can provide advice on each stage of the land division process, including demolition to ensure you meet conditional approval from your local council. We can help guide you through this process with your demolition contractor, ensuring your land is ready for the next step in your project. Considering demolition as part of your project? Download our demolition process guide.